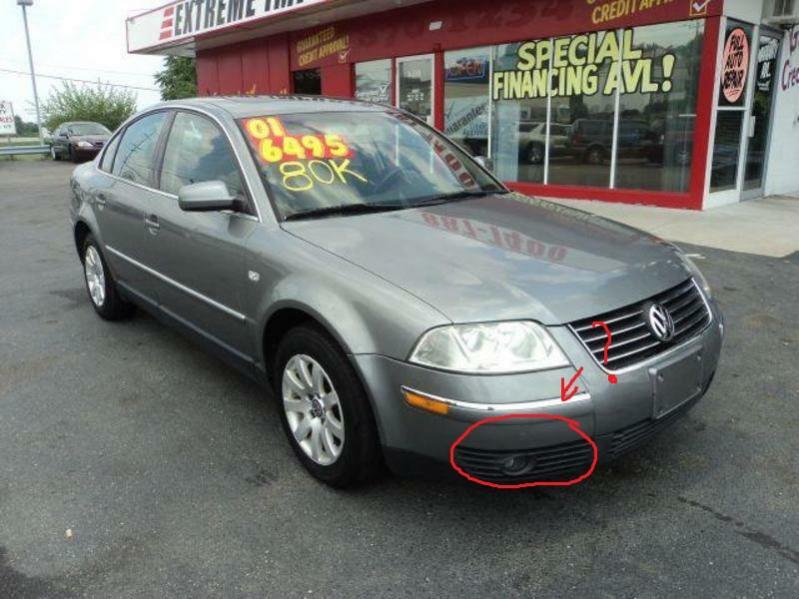 I've been searching for hours trying to find a replacement part for my 2001 Passat GLS. The part that goes around my fog light fell off my car and I don't know what its called or where to find a new one. If someone knows what this please.. help me! Attached is a pic of the same model I have, and I circled the part. Well if you passat fog lamp grille you will see loads of references to it. Search a breakers yard or eBay. Please help me guyz...! I need help? Will you help me? First car need help golf gti 93 please help!!!! tuning help and other questions! please help!!! Help! I know nothing about cars, please help a girl out! Quick Reply: Please help me!